On behalf of the Organizing Committee, it is our great pleasure to welcome you to SWEsrii – The 10th Swedish Congress on Internet Interventions. The Congress will be held at the Department of Psychology at the Linnaeus University in Växjö on November 9, 2018. 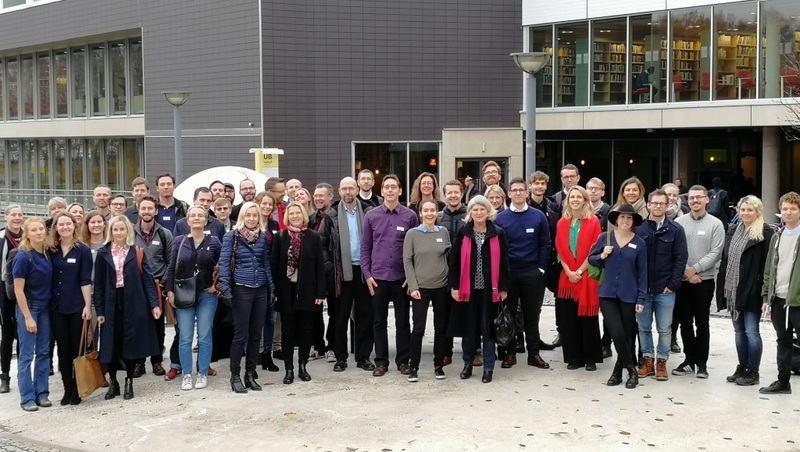 We have invited researchers from Sweden and all over Europe to share their knowledge and experiences on using and developing Internet-based interventions. There is no conference fee! The aim of our conference is to contribute to the development and dissemination of best possible psychological interventions to help people in need. Most congress delegates will be Swedes, but everyone is welcome! The SWEsrii meetings have a long tradition of a small, focused, warm, non-hierarchical, and friendly atmosphere with lots of opportunities for valuable intellectual exchanges among the delegates. Since this will be a low cost scientific meeting we will use our facilities at the Linnaeus University Campus (3 km from the city centre), room Weber. The registration is now closed. We have reached the desired number of participants. If you haven’t registered but you are interested in participating, please write to viktor.kaldo@lnu.se. The program will cover one day (November 9). To make it possible for the majority of delegates to travel to the conference on November 9, the main program will start at 11:30 and finish at 18:00, followed by a dinner 18:00-19:30, free of charge. The participation also includes free lunch and coffee breaks. Linnaeus University in south-eastern Sweden is a modern university with 32,000 students. Växjö has a long tradition of education and despite its campus location the university is a natural part of the town of Växjö. Linnaeus University has close ties with the local business sector and is a major player in the development of the city. You can reach Växjö either by flying directly to the city or by flying to Copenhagen airport Kastrup and taking a train to Växjö. If you want to fly straight to Växjö, the airline KLM does so from the large airport hub Schiphol. There is only one flight per day, so you need to book this quickly to get a seat. Campus is located roughly 3 kilometres from the city centre. When going to the university, you can either walk along the lakes or take the bus. The pedestrian path from campus around Lake Växjösjön reaches almost all the way to the city centre and is perfect for jogging or taking long walks. Växjö campus is modeled along the lines of an American-style campus and is a natural meeting place. Many hotels have a bicycle if you would prefer that. It takes about 15-20 minutes by bike from city center to Linnaeus University.